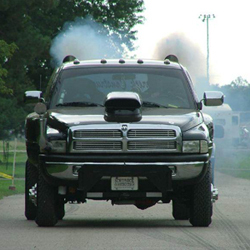 Glacier Diesel Power — founded in 2000 in Spokane, Washington — specializes in Cummins diesel performance upgrades. Right from the beginning we focused on our own in-house manufactured products for the Cummins and we've stayed true to that. We've also stayed true to our founding principals: Quality products and service after the sale. Over the years GDP developed a reputation for top level customer service and as a company whose focus lies with complete customer satisfaction. We manufacture a wide range of in house products for the Cummins power-plant. All along our goal has been to provide outstanding products to our customers at reasonable prices, period. It is this extreme pride and dedication in Cummins performance that has allowed us to stand out among our competitors and to thrive in the industry. Our most popular items are our in house manufactured Glacier Diesel Power product line which includes TORKER 6.7L Cummins Injector Nozzles, Mega-Flo 6.7L Intake Manifolds, 5.9L Fuel Rail Conversion Kits, Air Boss CR and Air Boss 67 Intake Plenums, 6.7L Grid Heater Deletes for Pickup and C&C, Cummins 6.7L Pro-Gate & Street-Gate Diesel Wastegate Kits, Fuel Boss Mechanical Lift Pumps, Bolt-on Double-X Ladder Bars and Traction Bars, 2 Micron Fuel Filter Systems, and 2nd generation Dodge Retro-fit Fuel Filter Kits. All GDP manufactured products are proudly Made in the USA and are held to exacting tolerances. We stand for no less. The workmanship shows the pride we take in every GDP built product. So, if it’s high end 5.9L or 6.7L Cummins diesel performance parts you are looking for, we can provide them. It's our dedication to satisfaction that has our customers coming back year after year. At Glacier Diesel Power we obtain the highest levels of performance from your diesel truck without throwing money away on products that don't produce results. Customer service is our number one priority, so feel free to contact us with any questions you have about our products or your diesel performance needs. Thank you for visiting GlacierDieselPower.com!